The killing of an industry: is general insurance getting its first shakedown? The following is an opinion piece written by Ben Hammond, senior consultant at Altus. At 2016’s Motor Insurance Summit, a large insurance firm felt strongly enough that they got up and stated that it would be “commercial suicide to move away from the practice of higher premiums for existing customers”. OK, it’s a common business model to offer a discounted price for a product in order to attract new business, but doing it to the detriment of an industry is surely just madness. All that’s been created is ‘race to the bottom’ pricing and expensive customer retention strategies. 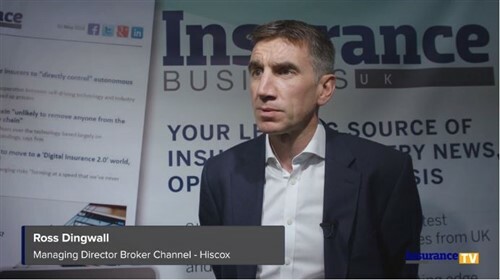 Back to our large insurance firm’s comment that it would be commercial suicide, I have to agree, I can see their issue – who would ever move from this model and so risk losing customers permanently to competitors? As all refuse to step off the merry-go-round, the FCA has been working on a solution and so issued a consultation paper back in December 2015 - Increasing transparency and engagement at renewal in general insurance markets: PS16/21 - with a final policy statement published in August 2016. The regulator’s overall aim is to promote competition in the market and make the whole process more transparent, thus improve customer outcomes: this was reinforced with a reminder to firms of the need to apply Treating Customer Fairly (TCF) principals. The previous year’s premium must be shown next to the renewal premium. Where there is a mid-term adjustment (MTA), an annualised premium must be shown at renewal, rather than only last year’s premium. Include wording in renewal communications to encourage the customer to shop around, potentially to secure a better price. Additional disclosure where a customer is renewing with the same firm for four or more years in a row. Indeed, firms are often not clear and upfront to customers about their options at renewal - instead they give them a price and tell them they’ll automatically take the premium from their account unless the customer takes action themselves. This practice promotes customer apathy and poor deals, by my reckoning, for both the customer and the insurance industry; a phenomenon seen in the utilities sector. In my opinion the FCA is taking what is its first step into a crusade to clean this sector of the financial services industry up. Consider RDR, the Retail Distribution Review, in the UK (relaxing back into my comfort zone now): perhaps there are some learnings that can be put into practice such as banning of commission, tighter qualification standards…and more to come as regulation is an ever-evolving beast after all. Thinking back to retirement annuities, themselves often (wrongly) viewed as antiquated, the market underwent a similar change, moving to obligatory promotion of the open market option which all providers must point out, up front to their customers - without fail. General Insurance (GI) is a more commoditised set of products than investments, with sometimes only the simplest of these investment products (e.g. a cash savings accounts) being held by the typical household. And, with GI products being much more common, with some legally required (e.g. third party car insurance) and some made compulsory by those with a vested interest (e.g. mortgage providers) this seems like a hotbed for FCA change. The reality is, with the rise of guidance sites, customers are becoming much more aware of the options open to them and that they only have to put in a small amount of effort to save themselves what could be hundreds of pounds. The last thing the industry needs is to de-value their insurance products through cheap introductory offers. By focusing on ‘cheap’, customers are being conditioned to demand cheap again at renewal and certainly don’t want to hear the message that the cheaper product with a competitor is not offering them enough cover – don’t get me started on trust! Interestingly, the FCA’s final policy statement obligates general insurance firms to make some significant changes to their renewal practices and so helping the customer get the most appropriate cover for their needs – I will be watching with great interest. Will this be enough to turn it around for the industry? 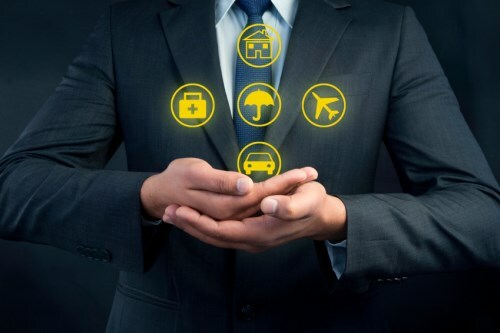 The preceding article was written by Ben Hammond, senior consultant at Altus and does not necessarily reflect the views of Insurance Business.